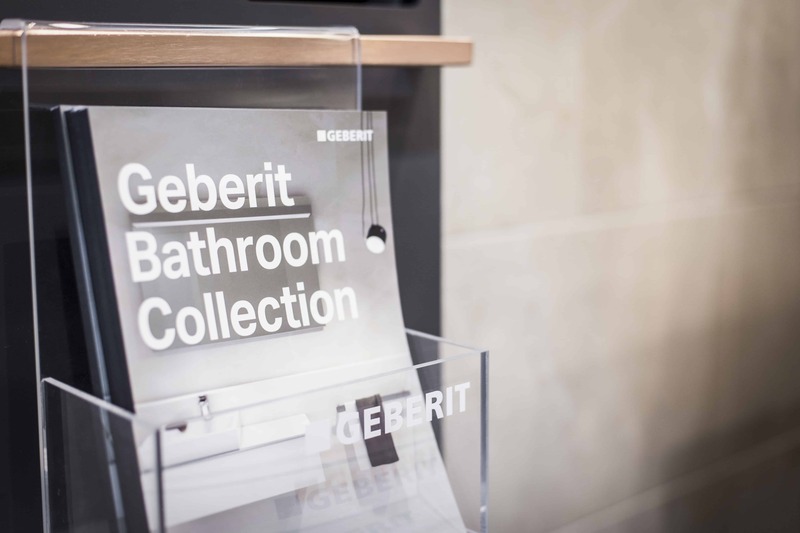 After first meeting with the Geberit brand towards the end of 2016, we have enjoyed working on projects with them throughout the past year. 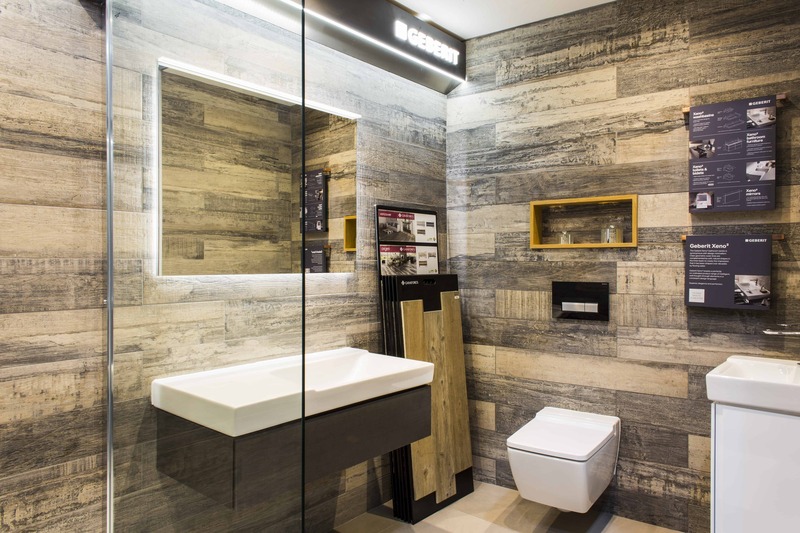 Most recently their retail portfolio expanded to include a luxurious showroom within Embrace Bathrooms; a project which D4R were happy to be involved in. Beginning the project in 2017, the shop-in-shop was finalised in January of this year; the perfect start to our 2018 portfolio. 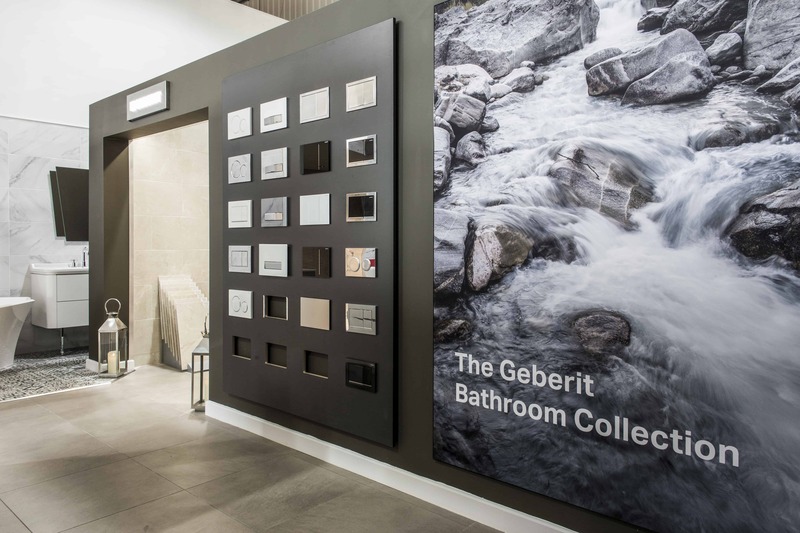 The deep grey hue of the exterior walls, combined with the brushed steel illuminated Geberit logo, creates a warm and inviting entrance to the branded space. 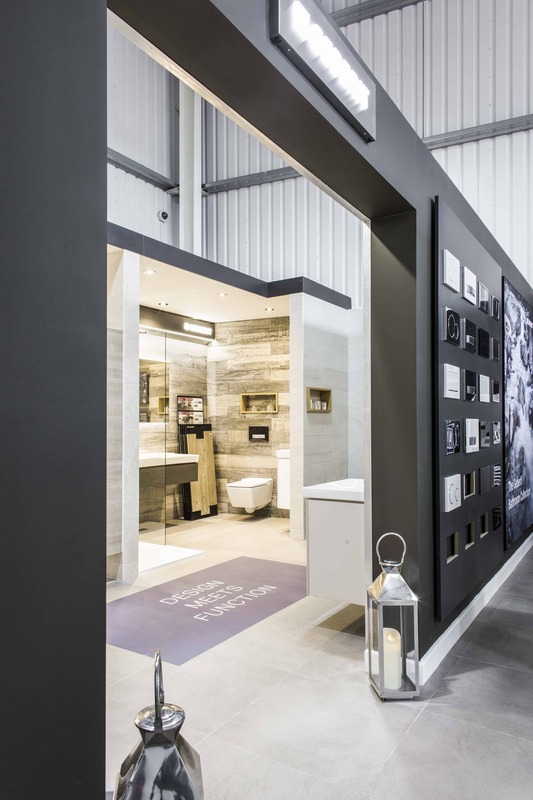 This, alongside the slate effect finish flooring and sleek interiors, create a tempting shopping environment. 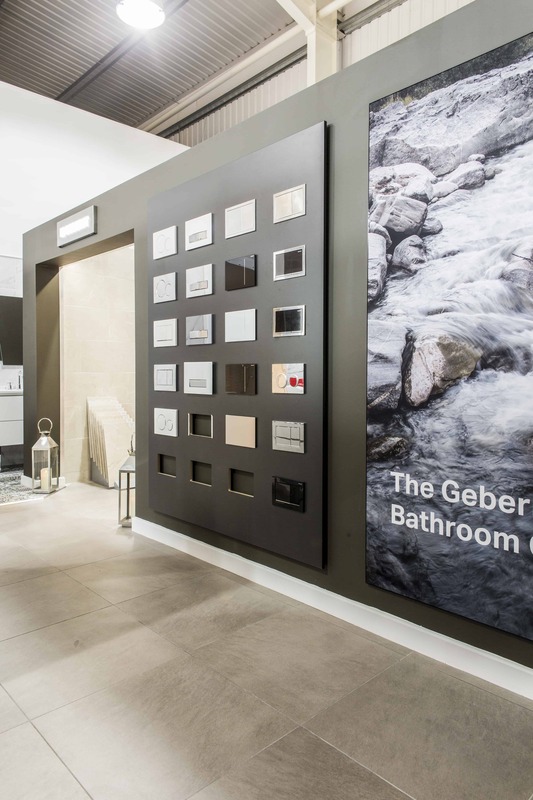 The illumination surrounding the mirror as well as the floating furniture generates extra depth to the space; creating the impression that the room is bigger, a pleasing aspect to visitors of the Geberit shop-in-shop. The wall totems which provide additional product information are as sleek as the products, creating small break-out moments which do not detract from the products within the space. 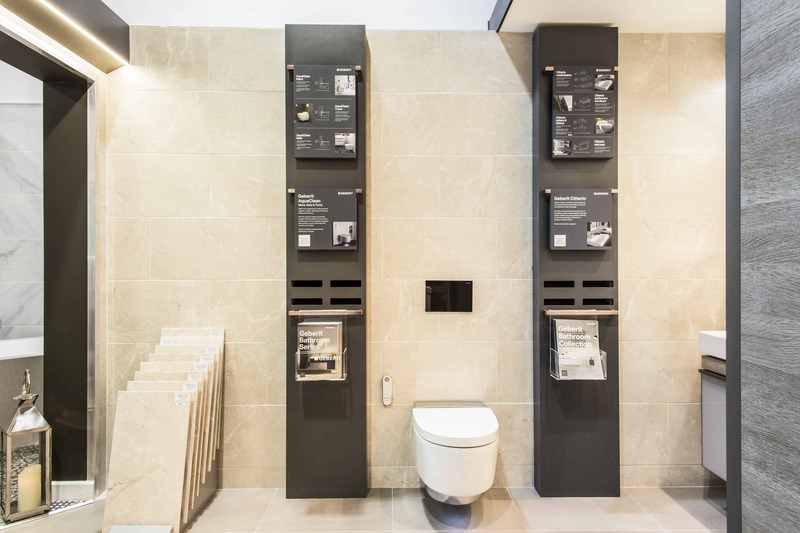 Stepping back out of the shop-in-shop, to the entrance, visitors will find a framed collage arrangement of the Geberit flush plates. Almost mistaken for an art installation, this display is both helpful for customers whilst being visually pleasing. The use of graphics within this space is kept to a minimum, ensuring that the shop-in-shop is focused on the product and the snippets of information. 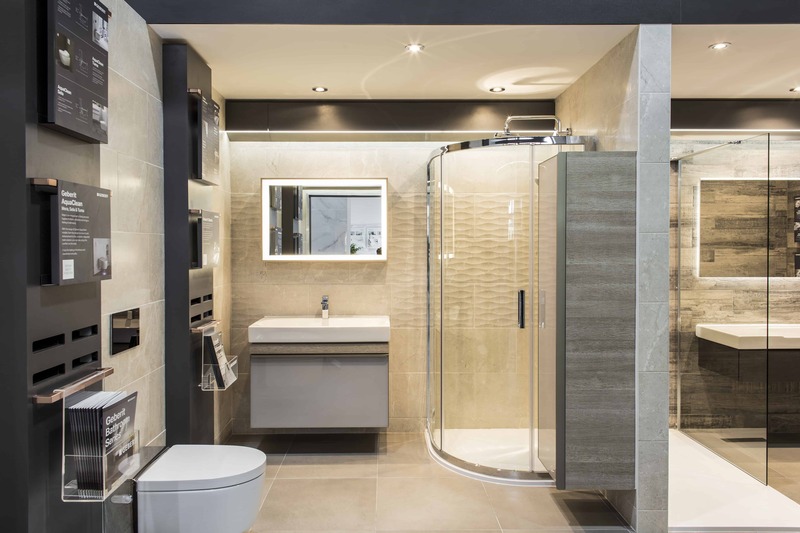 However, the entrance to the space does include a calming waterfall image, reinforcing the fact that customers are about to enter a space of relaxation; just as if entering their own bathroom. 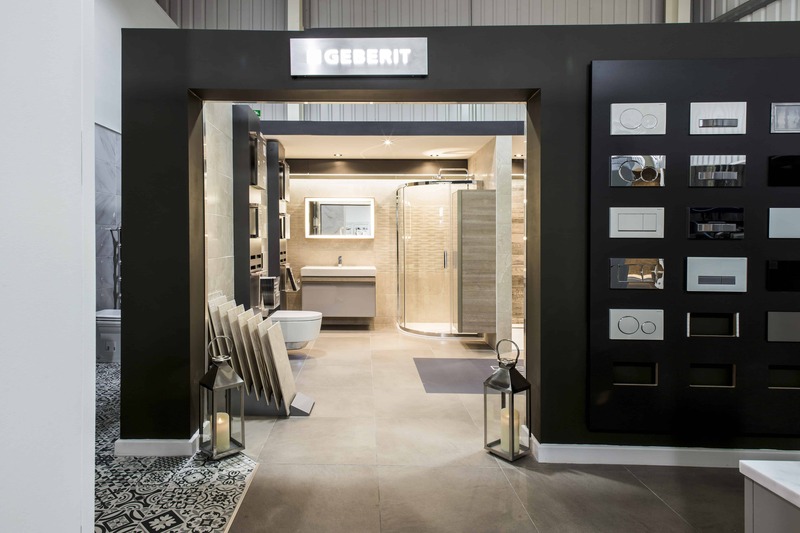 We look forward to continuing our work with the Geberit brand, so keep an eye on our blog for further projects.